Write down your notes or use a voice recorder to document any thoughts or impressions you have of the book as you are reading. They don’t have to be organised or perfect, the idea is to brainstorm any impressions you may have of the book. Think about the book’s genre and/or field of study. Consider how the book fits or does not fit in its genre or field of study. If necessary, use outside sources to familiarize yourself with the field of study and the genre of the book. For example, if you are reviewing a non-fiction book about the development of the polio vaccine in the 1950s, consider reading other books that also examine the same scientific issue and period of scientific development. Or if you are reviewing a work of fiction like Nathaniel Hawthorne’s The Scarlet Letter, consider how Hawthorne’s book relates to other works of romanticism and historical fiction set in the same time period (the 17th century) as points of comparison. Determine the major themes of the book. The theme is often a lesson or overall message that the reader perceives between the lines. The theme can also be the fundamental and often universal ideas explored in a book. Authors may present multiple themes in their writing, especially works of fiction. Pay attention to the preface, any quotes, and /or references in the book’s introduction, as this content will likely shed light on the book’s major themes and viewpoint. Consider the author’s writing style. Ask yourself if the style suits the book’s intended audience. Remember that genre is a category of writing and style is the manner in which a subject is expressed or performed. So, depending on the style used, the author can present different viewpoints to the intended audience. For example, in The Scarlet Letter, Hawthorne attempts to combine the writing style of the Romantic Period (1800-1855) with the common, every day language of the American Puritans of the 1600s. Hawthorne does this with long, descriptive sentences that are strung together with commas and semi-colons, and he also uses antiquated word choices and descriptors that are rooted in the Romantic period and in Puritan terms inspired by the Bible. Think about how well the author develops the major areas or points in the book. What areas are covered/not covered? Why? Locating gaps in the timeframe or character development of the book can help you think critically. As well, noticing any well developed elements of the book will help you create good points for your review. Make note of the book’s format, if relevant. Elements like the book’s layout, binding, typography, etc. can provide framing and context for the book. If the author provides secondary material like maps, charts, and drawings, always consider how they support or contribute to the book’s themes. In the Scarlet Letter, for example, Hawthorne begins the book with an introduction to the text, narrated by an individual who has many autobiographical details in common with the author. In the introduction, the nameless narrator tells the story of finding the manuscript bundled in a scarlet letter “A”. Hawthorne uses this narrative framing to create a story within a story, an important detail when discussing the book as a whole. Consider any literary devices in the book. If the book is a work of fiction, think about how plot structure is developed in the story. Take notes on the book’s character, plot, setting, symbols, mood or tone and how they relate to the overall theme of the book. If we were to use the Scarlett Letter again, it would be important to note that Hawthorne chose the adulterer and sinner Hester Prynne as his protagonist, and placed the religious, anti sin Reverend Wilson in the role of antagonist. In writing a review of The Scarlet Letter, it would be useful to consider why Hawthorne did this, and how it relates back to the book’s overall theme of sin. Think about how unique the book is. Does it add new information to a genre? The author may be trying to challenge or expand the existing rules and norms of a genre. Consider how the book does this, and how this may affect the intended audience’s reception of the book. Assess how successful the book is. Was the author successful in carrying out the overall purposes of the book and did you feel satisfied with the book’s ending? Would you recommend this book to others? Write an introduction. 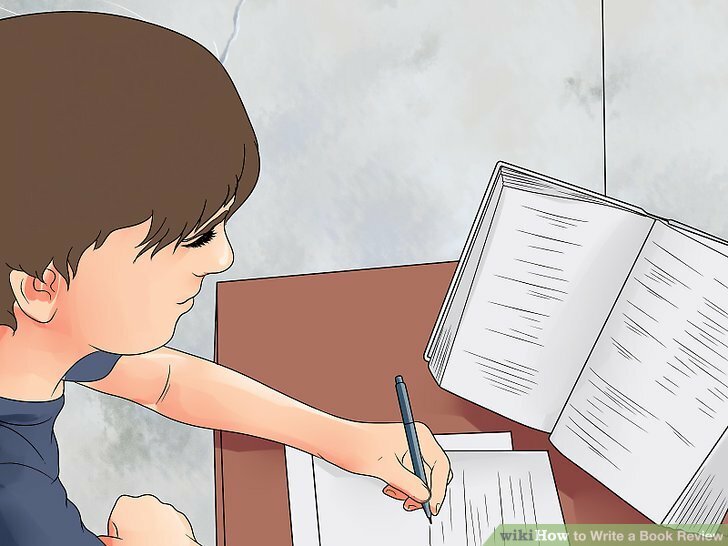 A good introduction will grab the reader’s attention so they are interested in reading the rest of the review, and will inform the reader what the review is going to be about. Ensure your introduction contains relevant details like the author’s background, and if applicable, their previous work in the genre. You can also indicate the main themes you will be discussing in your review to situate the reader and give them an indication of your “take” on the book. If you’re unsure on how to begin the review, try writing your introduction last. It may be easier to organize all of your supporting points and your critical position, and then write the introduction last—that way you can be sure that the introduction will match the body of the review. Write a summary of the book. Once you have established your heading and your introduction, you can then move into a summary of the book’s themes and main points. Be wary of summaries that begin with phrases like “[This essay] is about…” “[This book] is the story of…” “[This author] writes about…”. Focus on weaving a description of the book’s setting, narrative voice, and plot within a critical analysis. Avoid simply regurgitating the book’s premise. Use the answers you brainstormed during your preparation for the review to formulate your critique. Address how well the book has achieved its goal, how the book compares to other books on the subject, specific points that were not convincing or lacked development, and what personal experiences, if any, you’ve had related to the subject of the book. Re read and revise your review. Your first stab at a book review may not be as perfect as you’d like, so feel free to revise and adjust your draft. To gain perspective, put the review aside for a few days and then come back to it with fresh eyes.